Made in Hungary, "BRG" Co., in 1968. 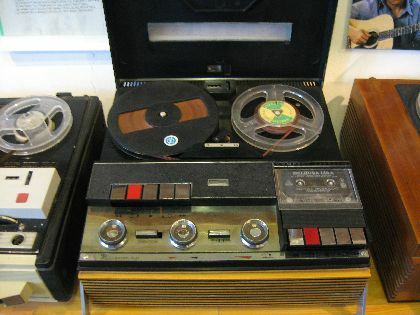 There was only one tape recorder in Europe with dual system. The "BRG M-11" was an open-reel tape recorder and casette recorder too, "2 in 1" machine, like a "house-studio". There was a great technical challenge, but the BRG gave the answer in high level.